I've always felt a shade conflicted about Bungie's Halo games. The first Halo was the best, in part because no one expected a shooter that stately (or pretty) on a console. I remember some calling it "the Star Wars of video games," all the while forgetting how bad Star Wars had become. Even the clunky split-screen competitive play was compulsive enough to lure me from PC stuff like Tribes 2 and Return to Castle Wolfenstein and Operation Flashpoint: Cold War Crisis. The second Halo felt like half a game though, more a multiplayer love letter with a boring single player story and a rug-pulled ending tacked on. New Mombasa was orange and ugly, and the confused, peripatetic storytelling a reminder that Bungie didn't write Halo to be a trilogy. 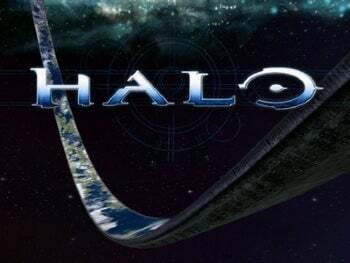 Halo was always supposed to be just Halo, after all. And then you had Halo 3--better than Halo 2, sure, but by 2007 I was tiring of needle guns and sticky grenades, the same old sword-slinging elites and bumbling grunts, the same old funky jungles and blockhouse bunkers dipped in lacquer with honeycomb floors and neon highlights. I'll give Halo 3 this, though: It made "the best plasma grenade throw ever" possible. Page forward to Bungie and Activision Blizzard's new 10-year development plan. We know a few things from interviews already, like that this November's Halo: Reach is Bungie's Halo swan song (though far from the last Halo...expect the saga of Master Chief--cryonically snoozing and drifting toward an unidentified planet at the end of Halo 3--to continue unabated as long as Microsoft's Microsoft). We also know that Bungie's new Activision-published games will be multiplatform, no longer chain-locked to the Xbox 360, and that Bungie can't say enough about online gaming. "We've done a lot in the Halo space online, so I think ultimately we're going to be able to bridge the consoles and community no matter what platform we're on," said Bungie president Harold Ryan in a recent Q&A. "And with competitive gaming, I think we're going to be very successful in having Activision as a partner." I wouldn't be surprised if their first game under Activision turned out to be something online-only, like MAG, or even massively multiplayer, like Planetside. The takeaway's clear: Online competitive gaming, priority numero uno. What about Call of Duty? Would Bungie ever lay hands on Activision's bestselling action-shooter franchise? "It's not something that Bungie is interested in," said Ryan, nothing that what the company is interested in, is "making a new entertainment property" and "creating a brand-new universe and IP." So now we wait. And wonder. And hope.